Recently, I had this revelation that I’ve been pretty much emotionally – and energetically – shut down the past eight or so months. I’ve started trying to work with getting back on the right track, but it’s had a LOT of pitfalls, and so I’ve kept mostly to myself because my skin feels so thin, and I’m never sure what to say. But at the same time, I don’t think staying quiet really helps me, either. The past week and a half, I’ve had a sudden surge of people contacting me with questions and comments on this blog, despite the fact it’s pretty neglected. So I thought I’d check in again. Another reason activity has gone down on here, is that I have two predominant “modes” of spiritwork, that sometimes overlap, but I often swing between the two of them. The Minoan and god side of things, which I write about on here some. And then the periods of time where the entities I work with the most are angels. I always tried to keep the angel stuff off this blog, because I had hopes of it eventually leading in a direction where some kind of modern version of Minoan practice could be formed. Which, Z pointed out to me, is silly. This is supposed to be my personal spiritual practice blog. Something more focused can come from it later, but it’s better to just write on here, now. So, the past several months have apparently been Angel Season. I think the only exception is I had a brief visit with Hades, in regards to another angel whom I call Kizzy. Other than that, my interactions have been split pretty evenly between Samael and Lucifer. Yeah. I tend to deal more heavily with quote-unquote fallen angels and Goetics. (But, come on…that shouldn’t be a surprise by now). But even those visits haven’t been too much to report. Arguments with Lu. Things going smoothly with Samael. That sort of thing. Still not sure what to say. Hello! My name is Bri, and I run the blog Reconstructing the Labyrinth. 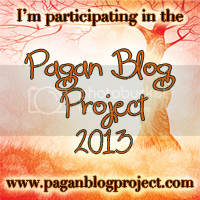 I am a pagan who works primarily with the Minoan pantheon, of which I believe myself to be an incarnate member. I am also genderqueer, pansexual, and demisexual. I have a wonderful, loving partner. I am a mixed-media artist and writer with a great fondness for plaid and amaretto-flavored coffee. This entry was posted in Uncategorized and tagged Angels, Goetics, Lucifer, Samael. Bookmark the permalink. To read Z's blog, a companion to my own, please click here. Hello, my name is Bri! I am a modern incarnation of a not-so-modern goddess. I am also an artist, and lover of plaid and amaretto coffee. For more about me, please see my page. And So the Book Begins!